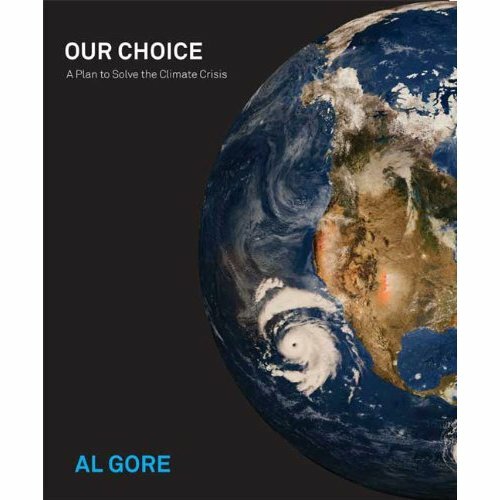 November 12, 2009 by Ken Ward Jr.
Former Vice President (and Nobel Peace Prize winner) Al Gore’s new book “Our Choice: A Plan to Solve the Climate Crisis,” has a full chapter on carbon capture and storage (CCS). And what he has to say will sound familiar to folks who have followed Coal Tattoo’s discussion of the possibilities — and pitfalls — of this technology. The idea of ‘carbon capture and sequestration’ is compelling. In theory, the world could capture all of the CO2 that is presently emitted into the atmosphere by fossil fuel electricity plants and sequester it safely in repositories located deep underground and beneath the bottom of the ocean. We could then continue to use coal as a primary source of electricity without contributing to the destruction of human civilization in the process. The reality, however, is that decades after CCS was first proposed, no government or company in the world has built a single commercial-scale demonstration project capturing and sequestering large amounts of CO2 from a power plant. All the technologies for capturing, compressing, transporting, and sequestering CO2 have been developed and tested on a small scale. All of them work. But the components have never been integrated and implemented on a large-enough scale to build the degree of confidence necessary for the truly massive commitment the world would have to make were this option to be chosen as one of civilization’s main strategies for solving the climate crisis. Gore runs through many of the uncertainties about whether CCS will work, how much it will cost, and whether carbon dioxide will stay buried underground, most of which were discussed in some detail in my big Sunday piece on the topic a few weeks ago. See The Great Race: Coal vs. Climate and Coal and Climate Change: It’s All About the Science. … Many feel the stakes are so high that no option that might conceivably help solve the climate crisis should be discarded. The expense and risk of CCS, after all, would be far less than what scientists are warning will happen if we continue dumping all of that CO2 straight into the atmosphere. What should be discarded, however, is any illusion that CCS will be available anytime soon at a scale large enough to make a dent in our CO2 emissions. We are many years away from understanding the answers to questions that must be resolved before CCS could become one of the viable solutions for global warming. Gore’s chapter has more information than my previous story concerning the potential dangers if CO2 pumped underground were to escape, a topic I hope to explore in continued reporting on CCS. Legislation pending in the U.S. Congress in 2009 provides $10 billion for the study, demonstration and early deployment of CCS, this on top of an additional $6 billion in subsidies enacted over the previous four years. There is actually a fairly simple solution to resolving all of the questions and uncertainties about whether CCS is economically plausible and, if so, which technologies are the best ones to use: Put a high price on carbon. When the reality of the need to sharply reduce CO2 emissions is integrated into all market calculations — including the decisions by utilities and their investors — market forces will drive us quickly toward the answers we need. Thanks for this post, Ken, which adds more information supporting what I see as an evolving understanding by many people who post here about what CCS is and is not. Ultimately, no amount of subsidy for CCS research and eployment will answer the important, some would say crucial question of whether CCS will allow mankind to burn a lot of coal in the future — without killing off civilization. Big subsidies for CCS now will help us answer the question a lot sooner than if we leave it up to pure market forces. People like Al Gore (and me) who care a lot about protecting civilization long-term, and who think we need an answer to this question sooner rather than later, tend to support big CCS susidies now, even if we are skeptical or agnostic on its potential. People who want to burn coal basically without regard to the global or regional consequences (for job/economy-type reasons) also generally support CCS subsidies, because the subsidies makes long-term coal burning more likely as climate policies come on-line. But they are also afraid of what the answer to that question will turn out to be — so they tend to be in no hurry, and may even want delay. And, many people who are for also perfectly good reasons want primarily to reduce the non-climate adverse effects of coal mining, like MTR, tend to be against big CCS subsidies — since the subsidies do strengthen possible future demand for coal in general. Of course, everyone who has a position tends to be righteously convinced that their personal position should be adopted, and everyone has lots of incredibly detailed and/or emotional arguments they will bring to bear. We’ve seen a lot of them here, that’s for sure. These (admittedly stereotyped) approaches and views are thrashing it out in the political arena. How will it shake out? I tend to think that the big capitalists, whether in China or Amsterdam or New York — who after all fund most of the scary climate science and big-picture engineering — will implement the systems they think they need (which will include CCS subsidies, I’d say) to save their system and their hides. It’s been that way for a long time. In a democracy, we can work to make those systems more protective of ordinary people. I’m sorry, I appreciate your posts, but you can’t write stuff like this. See particularly your paragraphs 4 and 6 which nicely split the naive Appalachians and romantic tree-huggers from the far-thinking, science and tech savvy philosophers concerned with the fate of humanity. 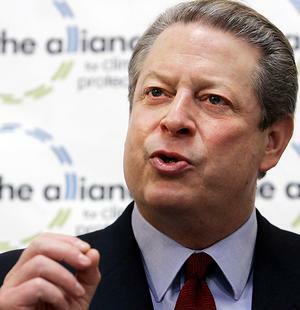 A lot of smart people–perhaps not Al Gore–say forget CCS, at least for now. If we want to save the climate–and we need to save the climate–we can start doing it today, not tomorrow, more cheaply and with less environmental cost. Consider 2 choices–we wait until CCS comes on line, or we begin investing in a more efficient energy economy starting today. Ironically, the latter choice will make CCS–if it ever comes on line–more effective. Every ton of carbon we don’t put into the atmosphere eliminates more than a ton of carbon we need to bury. Every ton of carbon we don’t needlessly burn eliminates four or more tons of CO2 we need to bury. Put 100 tons in the air and sequester 10, you’ve reduced CO2 10%. Put 200 tons in the air, and the effectiveness drops by half. If sometimes think this single-minded preoccupation with the climate crisis has stopped critical thinking. Can anyone really write about the ‘fate of civilization’ and ignore nuclear weapons or the nitrogen cycle? Beyond that, what is the basic relationship between our modern, anthropocentric world and the planet? I often think, it’s not the carbon, its the consumption. I’m not a philosopher, but I believe that one thought in particular has underlain much of the thinking in the environmental movement: It’s all connected. From MTR to climate, it’s all connected. To kind of bridge what you and Tom both said … one of the most crucial questions to me involves not just the CCS subsidies in a climate bill … But the fact that many coalfield politicians and the United Mine Workers not only want those subsidies — they also want to push back the time frame for making significant reductions in emissions. Their argument, of course, is that coal and the utilities need more time to make CCS work and to deploy it … But the counter-argument to that is that the climate doesn’t work on the CCS calendar. The world is warming, and it’s not going to slow down or stop doing that while the industry figures out CCS. The subsidies are one thing; but pushing the reduction schedule back and back and back is another thing altogether. If you think about it, paragraphs 4 and 6 ARE factually accurate statements; it’s your take on the consequences of what I assert that you have issues with — and indeed, so do I. As a person who lived “off the grid” for a decade, trying to reduce my own contribution to global resource consumption, I relate to your philosophical issues. This is deep stuff. While you are not one of the grouping I refer to, my statement in paragraph 4 — that people “who care a lot about protecting civilization long-term [from global warming AND] who think we need an answer to this [CCS] question sooner rather than later, tend to support big CCS subsidies now, even if we are skeptical or agnostic on its potential” — is true. I’m sure on reflection you agree. And, as I said in paragraph 6, it is also true that many folks who are more focused on the regional, negative aspects of coal mining (like MTR) have so far, for good reasons, tended to be against CCS subsidies. Why would they not be? Pursuing CCS holds out at the least some long-term hopes for coal, and as you say, makes continued coal mining easier today. Many anti-MTR activists have said for years that they want plenty of coal to be mined (and burned) — just not by MTR. That is changing, however. I don’t know any climate policy groups who support MTR mining methods, but many do support CCS in some fashion, some very enthusiastically — yes, even knowing that its possible effectiveness is highly uncertain, and knowing that the more coal is mined, the more there will be regional and local adverse effects of coal mining. Part of having “eyes wide open” for me is to see that there are in fact differences in peoples’ approaches to these issues, depending on their primary interests. So — how to bridge these quite understandable differences? I think Ken Ward is right to pick up on the “deny and delay” strategy of the most reactionary elements in the coal industry on emissions limits, and indeed on global warming in general. My question is: do we want to also “deny and delay” on the (as I see it) crucial issue of finding out whether and how much CCS could contribute to fighting off climate change — yes, even though it may mean more coal mining than some people would like? I don’t take a lot of stands in this area, but on this one I do (of course, I could be wrong, LOL, and I’m open to argument). I’m for tough emissions limits, pricing carbon aggressively, and heavy investment now in CCS. The stakes are that high. Sen. Byrd signed this, but apparently Rockefeller did not. Red Desert I always respect and admire your posts. I would think that your logic could be correct with ignoring CCS if the U.S. was the only CO2 producer. But how about the rest of the world? If we don’t develop CCS technology what would that mean globally? A preface: The collective myopia with climate change I mentioned above—the reduction of our collective environmental impact to carbon and its effect on climate—is curiously mirrored by our preoccupation with CCS, both for and against, as the solution to the carbon problem. Let’s assume CCS comes on line. It’s probably not going to be the magic bullet that solves the problem. More likely, it will be a role player. In that study, by 2050, the use of coal shrinks under all cases 75%-80%. Energy production lost from coal is replaced by nuclear. Efficiency and a growing reliance on renewables account for new demand over the next 40 years. The use of other fossil fuels remains about the same. Of the coal that’s left, CCS is used on half of it, total BTU’s equal to current hydro, much less than the renewable energy component in 2050. Interestingly, most of the reductions in emissions come, not from actually reducing emissions, but from offsets. The danger in speaking up for CCS—whether in Congress or on the blogs—is this: It begins to preclude other solutions. The Chinese are investing in CCS, but it is part of a broader portfolio of clean energy strategies. Remember a couple years ago when they building one or two coal plants a week? That’s no longer the case, because they are tearing them down almost as fast as they are building new ones. They are replacing old (new, by our standards) plants with new, efficient plants. Think about it—CCS increases capital costs and fuel demand. Efficient power plants require capital, but lower fuel demand. It’s a business decision. When we Americans think of CCS, we don’t think of it that way, with CCS as a team player. We shouldn’t be focusing solely on CCS; we should be funding research into all ways of reducing GHG emissions. Where is the talk of funding for research into 70% efficient coal fuel cells or for new, super-high efficiency thermal plants? Where is the talk of retiring the forty oldest and dirtiest plants? If we just did that, we could save money, clean the air and cut lots of carbon all at once. Ken highlights that the promise of CCS is being used to delay implementation of carbon policies. More importantly for my essay here, we—Americans—have begun to think of CCS as the technological solution that will allow us to continue living the way we do today. No sacrifices asked, no investments needed. With a little technology and yet more energy, we can avoid thinking about changing lifestyles. As consumers, we have ceded so much responsibility for our actions, why should addressing climate change be any different? If they can just bury the carbon from those tar pits in Canada, then we don’t have to think hard about where the oil actually comes from. I hope this also works as a reply to Thom. This letter from the gang of 14 is distressing. My own senators, Udall and Bennett, signatories. Udall the environmentalist! It’s crazy. Penalize states clean energy states like California, reward states with, the oldest, dirtiest power plants. Who would have thought Americans need to look east to China for the future?